I have heard that Be Forever will be the new name for the Historical dolls because AG is revamping the historical collection. Here are the list of dolls that are probably going to be archived to make room for Samantha and the 50's doll who's name is still uncertain (we'll get to that later). These dolls keep repeatedly having items go on sale and many of their items become sold out. They also had no new items during AG's spring release. As for everybody else I think they are safe but you can never be too sure. So, I was just checking out some of my favorite blogs when I spotted that one of them had posted about "Be Forever". Agoverseasfan has posted a new video that shows proof that "Be Forever" might actually be real. On Living a Doll's life I've heard that the image may have been photoshopped but this is still uncertain at the time. Someone also found an image that looked exactly like Agoverseasfan's "Be Forever" image except the box did not have the same "Be Forever" logo on it. The "Be Forever" logo supposedly may have been leaked by the same Ebay account that leaked the new Samantha doll and My American Girl #61 who is a Saige look alike. Go check it out by clicking here. I also heard that there is going to be a new 50's historical doll. Everybody has seen the leaked prototype pictures but they were thankfully taken down. I heard that Grace Thomas was going to be the name of the 50's doll but now I heard that Grace Thomas will be the name of GOTY 2015. I am really confused. should be the year for a new meet outfit. With this new meet outfit charms may also be disappearing. 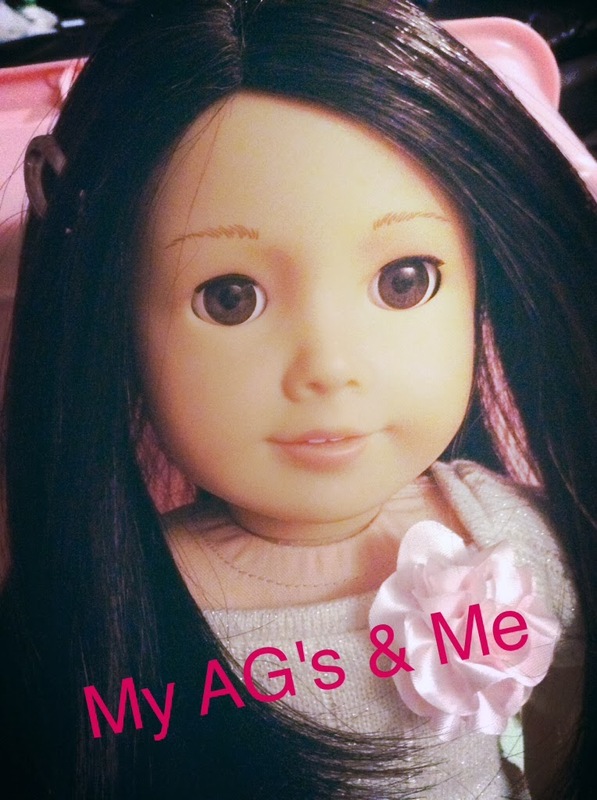 They are also due for a new name since the change from Just Like You to My American Girl a couple of years ago. When I was writing this I kept wondering what does "Be Forever" even mean. I would prefer if AG keeps the current name for the historical collection. Thank You For telling me! And Thanks Again! Okay Everyone! I think it's fixed! Do you know what Grace Thomas is supposed to look like? I'm not sure what Grace Thomas GOTY 2015 will look like yet. But the prototype pictures I've seen for the 50's historical doll has light strawberry blondish curly hair. Basically they are supposed to get a new meet outfit and they might be getting their collection name changed from MAG to something else.